By water or by wheels: they say these are the best ways to reach Red Hook, Brooklyn. 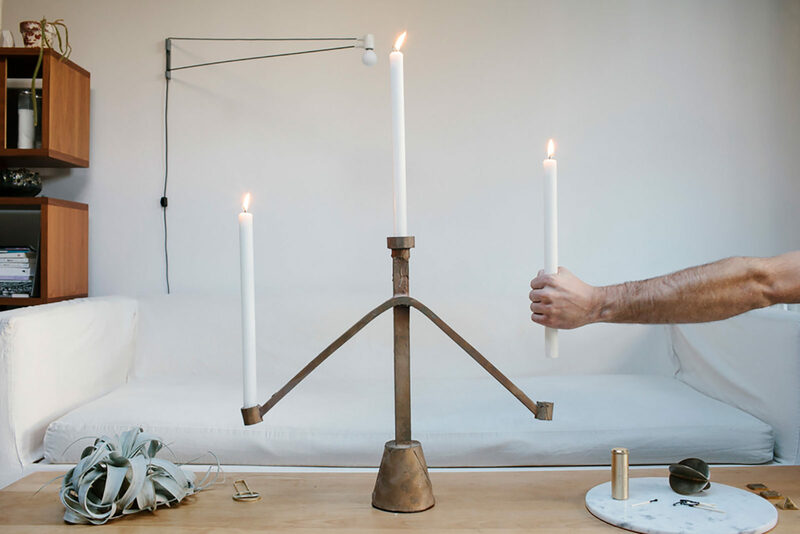 Gregory Buntain and Ian Collings, the designers of Fort Standard, prefer the latter. Still, one sunlit afternoon, they manage to find time to wander the once isolated neighborhood for coffee, some revealing banter and a quick waterside stroll before resuming business as usual. They seemed to enjoy the excuse to escape, we noticed, on such a beautiful day. 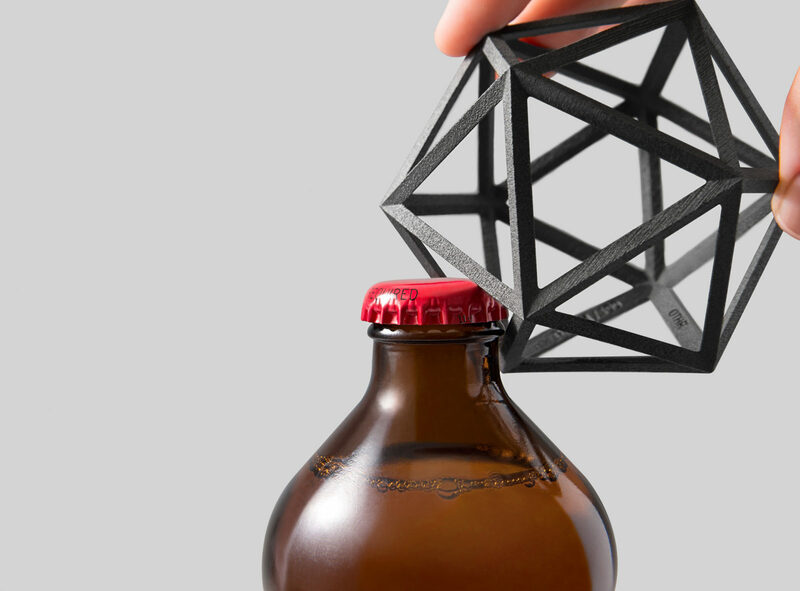 Working with OTHR and the possibilities of 3D printing, Fort Standard produced the Iso bottle opener—giving the humble object an angular update in the form of a twenty-faceted icosahedron (say that five times!). This portrait is part of our ongoing collaboration with OTHR, as we profile their international roster of designers. 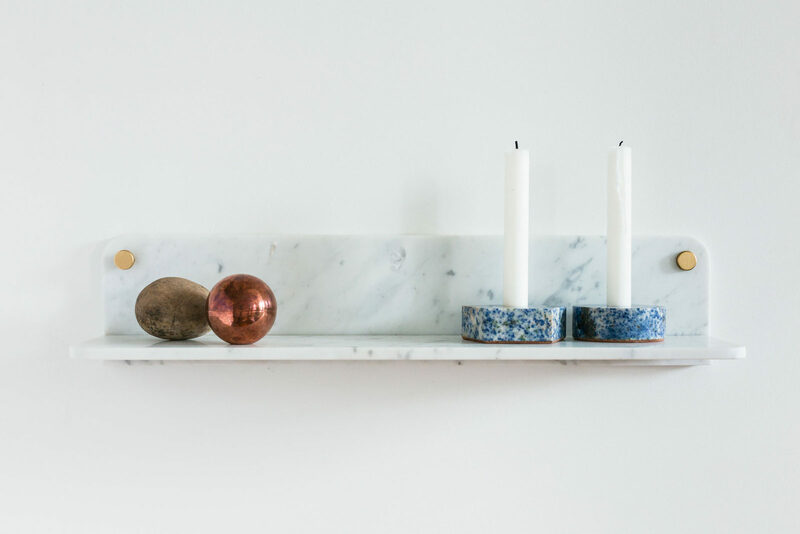 Visit OTHR for more on this story and see the beautiful designs they’ve curated. Tell us about how Fort Standard began. Greg: We were friends at Pratt. 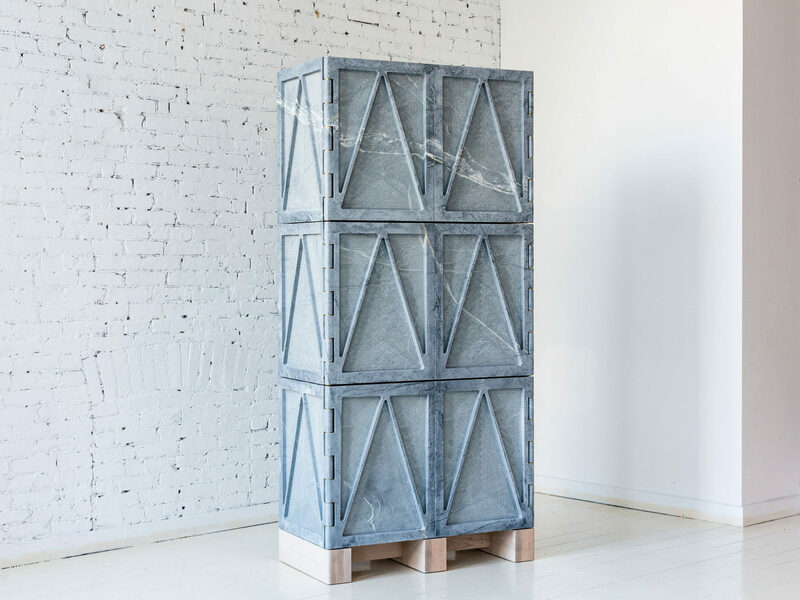 Then, after graduating, we were living very parallel lives, fabricating furniture for small Brooklyn-based design companies, and we were having a growing, continuous conversation about wanting to produce our own ideas and objects. Initially we did a lot of design build projects—retail projects for Warby Parker, Fjällräven, Harry’s, Steven Alan. We had the opportunity to work with some great brands that helped us get up and running while we slowly started shifting our focus to our own furniture. Where did the name Fort Standard come from? G: It was essentially a blank canvas that we could then define with our work. It had absolutely no meaning and sounded really strange to us at first, but as we produced more and more work together, it slowly developed into something that we and other people could recognize as a collaborative visual language. Ian: There are personal leads like geography—we went to school in Fort Greene—and we were interested in designing things in an authentic way and letting the honesty of the function and materials be somewhat the standard. That collection of words represented what we wanted to do and proved to be a good platform to explore design. Do you divide and conquer when it comes to running your business? G: Basically, but we don’t have roles. We design everything together and it’s a very organic process as far as who takes the lead on any given project. I: We’re two interchangeable humans at this point. That works to our advantage, and it works against us sometimes in that we’re good at the same things and want to do the same things. What’s fun about building your own business is that you have the ability to build a team that fills in all of your weaknesses to some extent. What are some of the pros and cons about working with a close friend? G: We’ve learned a lot about ourselves and about communication. If we’re not communicating, that’s when we get in trouble. It’s like the way that we design together: if we have an idea, we have to explain to the other person why we think it’s a valid idea. That’s often an advantage because it sparks different ideas in the other person’s head, and we each bring in our own insights and inspirations. You mentioned in a past interview that you wanted to design your business according to the way you want to live your lives. What did you mean by that? G: Work less, travel more. It’s trying to achieve the correct balance between work and play that’s rewarding and gratifying but also stimulating and inspiring. Part of the reason we haven’t defined our roles any further is because this organic management of projects allows us to work together on everything and allows us the freedom to travel. Where do you like to travel? Why? G: Anywhere and everywhere, basically. I: The clarity of distance I think is the most important thing about traveling. We’re young enough to check out something new every time. Recently I’ve been going to Costa Rica a lot more, down south on the Pacific coast. What else do you enjoy outside of designing and building? G: I personally like to ride motorcycles a lot. Dual-sport motorcycles specifically, so basically, street legal dirt bikes. The biggest trip I did was a couple of years ago with my brother. We toured New Zealand, camping and fly fishing around. I: The outdoors has always been a huge element of my life. I try to get up and go hiking and get into the woods as often as I can. There are tons of great places near the city, but the further the better: California, Costa Rica, anywhere for contrast. New York City is nice, but you appreciate it even more once you get back to nature. Speaking of the city, what was this neighborhood like when you first moved in? G: Five years ago, Red Hook was much emptier and more quiet. There wasn’t even a stoplight on Van Brunt. It was all stop signs. A lot of the streets were one way. Now you see people here on the weekends walking around. I: It wasn’t even super industrial; it was just quiet. Strangely quiet for being so close to New York City. Now it’s bustling with activities and buildings and construction. You can’t make it down Van Brunt without sitting in traffic. What do you do when you’re here and need a break? I: There is no break. On Fridays, we usually try to sit down with the guys and have a beer. If it doesn’t happen at the studio, there are a couple of bars we hang out at. In general, if you haven’t been to Red Hook yet, it’s worth a walk around. The vibes are so different from Manhattan. G: Sunny’s is pretty special. It’s a bar around the corner that hasn’t changed in years. Sometimes we’ll go over to Fort Defiance or Brooklyn Icehouse. Red Hook is great if you need a walk to get some air. Are there any stores you like in the neighborhood? G: I bought my fiancée a bicycle at Papillionaire. Erie Basin is a really cool shop when it’s open. Kempton & Co. is also pretty new. What would people be surprised to know about each one of you? I: You wouldn’t know by looking at Greg, but he does a pretty good wheelie on a motorcycle. G: Ian is an incredible dancer. He has a signature dance move called the dolphin. You know how they’ll come out of the water and flap? He’ll jump up and do just that. Is the dolphin your spirit animal? What’s yours, Greg? I: I usually go for hawk or cheetah or a power animal, but I don’t know. It could very well be the dolphin. We’re interviewing for new positions right now and the last question we ask anyone is if you were an animal what would you be. It’s a very telling question. G: I’ve always had a certain fondness for turtles. To close, what’s your favorite thing you’ve designed? G: I’m nostalgic about some of our first designs. 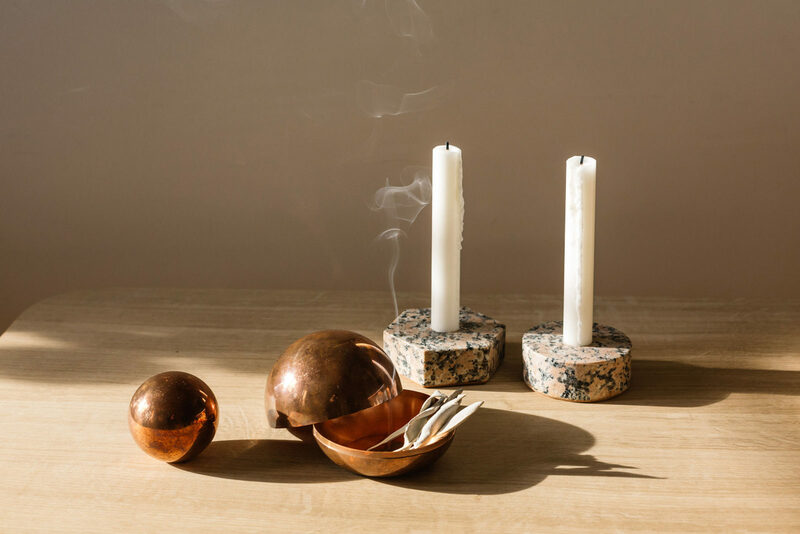 Our foundation side tables are a prime example of our approach to design and materials. It’s one of the starting points where we go: ‘okay this is what we do’, and take that concept and run with it. I: From a design standpoint, there are a lot of examples. Our new line is pretty exciting. I think that’s the new shiny thing in our mind. I also think it’s worth pointing out that creative problem-solving and the way we approach design is a lot of fun to apply to other things, like running a business and creating a lifestyle that works for the people you work with. It’s fun, and it’s incredibly satisfying. Thank you, Ian and Greg, for inviting us to Red Hook, and for sharing your story and your beautiful space with us. Head over to the Fort Standard website for more info.